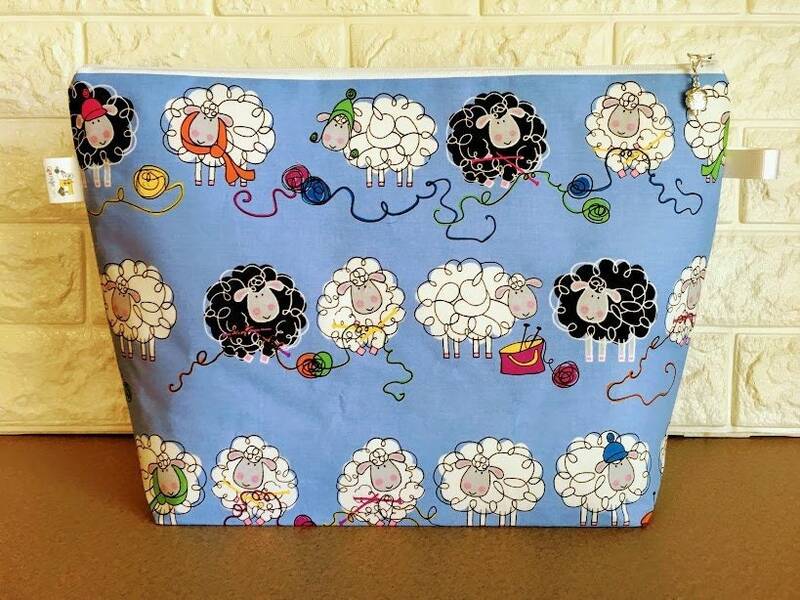 Large Size Knitting Project Bag is perfect for projects such as sweaters or larger shawls. 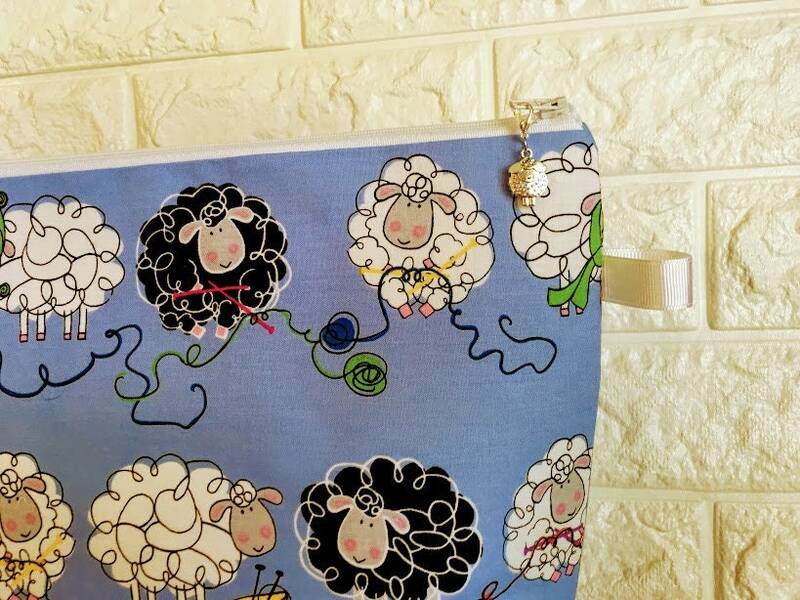 It features cute sheep knitting. I am very pleased with my purchase. 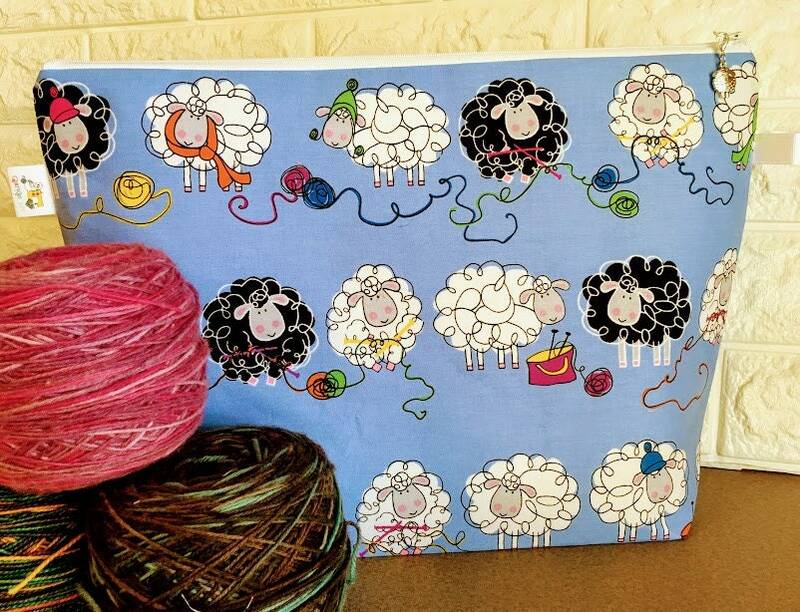 Love my pretty knitting project bag and how well it was made. I was really surprised to have received it in only a few days!! This bag got to me faster than I thought it would. She included a progress keeper. 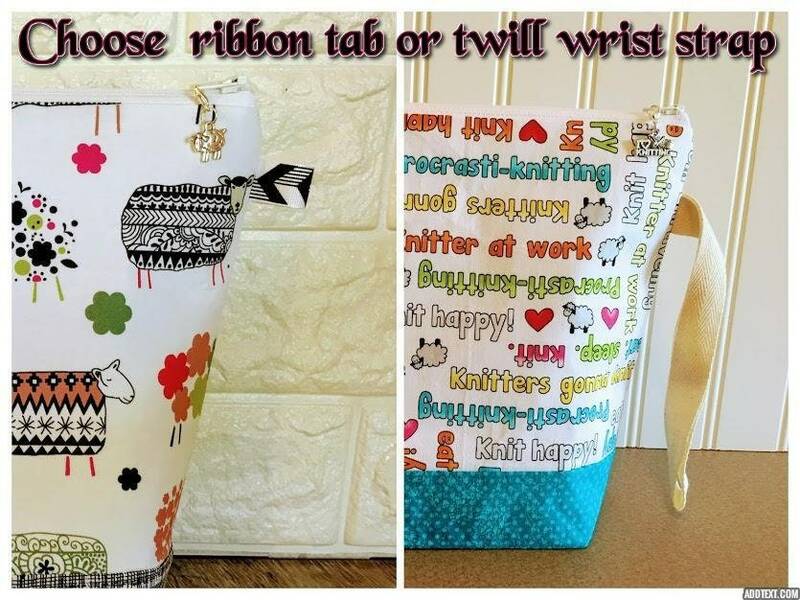 This bag is sturdy and the sewing is professional quality. 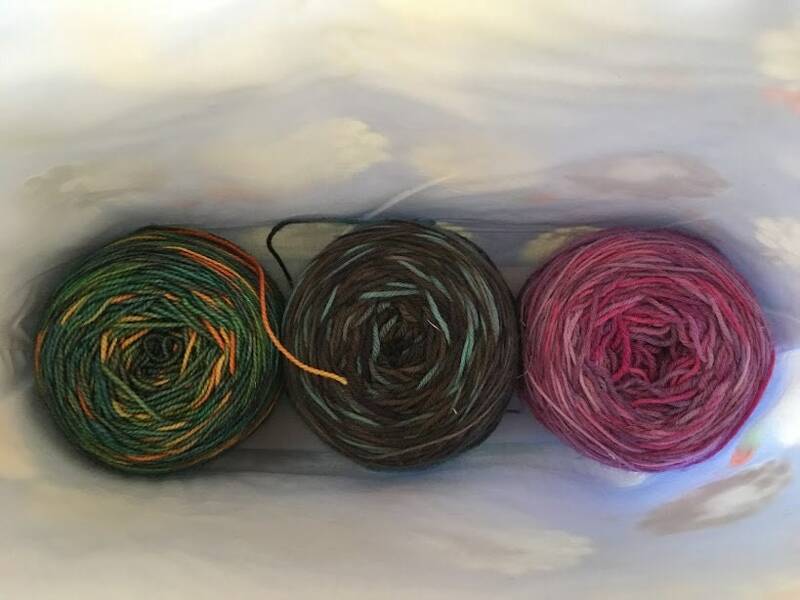 I am very excited to start making sweaters so I can use this bag!!! I will definitely order more project bags from this shop in the future.